This publication was realized with the support of a crowdfunding project. are still available for the special price of 250,– euro a piece (normally 350,– euro). Publication of my letterprojects in Portugal and the Netherlands (an extraction from the publication “So os caminhos eram meus”). In these letters my collegue artists and curators, respond back to me in a letter, in reaction to my exhibition, or talk we had within the exhibition. * one page with photos of my paintings, one page with my silkscreens and one page showing my ceramic work. 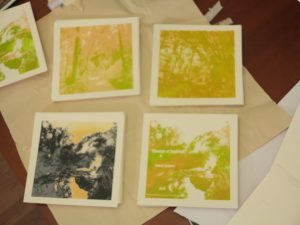 2 photos of 20 x 15 cm. behind 3mm plexi in a box of oak wood (contains hanging system). Every edition is a limited edition of 3, signed and numbered. “The letter project” is included (8 letters) in a box of oak wood. Realized from October 2015 – January 2016 at Grafisch Atelier Daglicht in Eindhoven. Made possible with the support of Constant van Renesse Foundation. 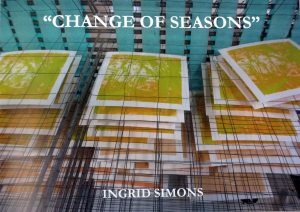 A serie of 4 silkscreenprints (35 x 100 cm., all on view at “Recent Graphic Art”) inspired by the four seasons. paintings and ceramic works for my solo exhibitions in 2017 & 2018 in Portugal. 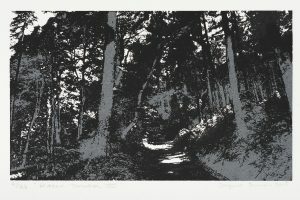 Especially for this project, I made these 2 new silkscreenprints. This crowdfunding project ended in April 2016 and was very successfull! 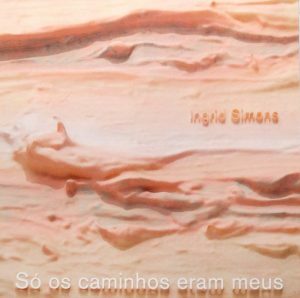 Digital photobook, in which all “Sonhos”, the paintings all of the size 20 x 30 cm, that I made for the crowdfunding project, to realize the publication “So os caminhos eram meus”, are shown together. I am very proud to present this publication to you. With the support of the participants of this publication, I was able to present this publication in October 2013. The title is inspired by a poem of Negreiros, and tells about the paths you follow in life, and that what matters, are the paths you walk, not only achiving your final goal (“Alleen de paden waren van mij”). The publication starts with two beautiful texts of Drs. A. Schaeffers (Dutch Embassy, Lisboa) and Jos Wilbrink (BKKC). In this publication my “Letter Project” published containing 8 letters : 4 Dutch (Paul Hermans, Bert Loerakker, Anke Roder & Saskia van de Wiel) and 4 Portugues (Margarida Branco, Antonio Couvinha, Ludger van der Eerden & Carolien van der Laan) art connaisseurs and collegues participated. Design by Mark van den Eijnden (Ontwerpburo STORM). Dutch and Portugues. This publication is printed in a limited, numbered, and signed edition of 100. 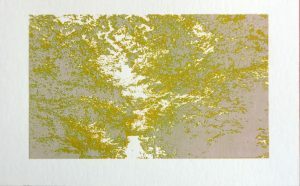 The publication includes a small sized silkscreenprint on Japanese paper, in honour of the 15 year existence of my artist practise. at the vernissage of my solo exhibition “Het ontwaken van de zomer”. 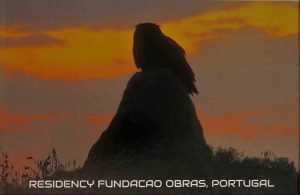 Portugues presentation the 18th of May 2013, Castelo de Evoramonte (Portugal) at the vernissage of my solo exhibition “Jardim Secreto”. 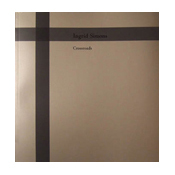 Digital photobooks (A4) made by Ingrid Simons about her residencies and projects in Portugal, France and Berlin. Publication with a text by Florent Bex, Honorary Director of the Antwerp Museum of Contemporary Art (MuHKA). 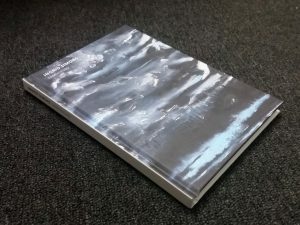 This publication contains photos of recent paintings, silkscreens and lithographies. Jan van Hoof Galerie, ‘s-Hertogenbosch. 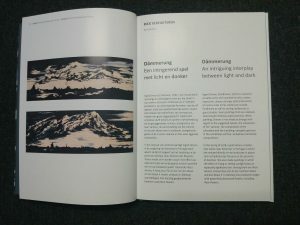 In May 2011 at Art Amsterdam a special, changed version of this publication was presented. 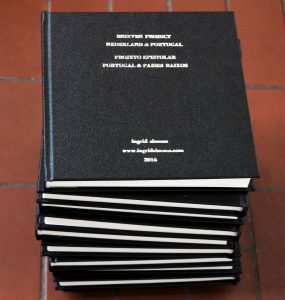 This publication contains photos of very recent paintings from the residency in Portugal in March and April 2011. 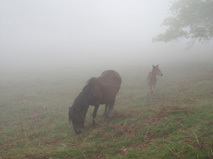 A new proza by Alex de Vries is included, that he wrote for the book presentation in November 2010. Also translations of the text by Florent Bex are included and a new azulejo made in Portugal. 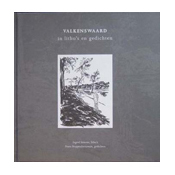 Publication by the municipality of Valkenswaard, in cooperation with SNederlands teendrukmuseum in Valkenswaard. 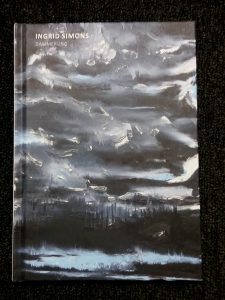 This publication contains poems by Frans Hoppenbrouwers and original lithographies by Ingrid Simons, inspired by Valkenswaard (where Simons spend her youth ; limited edition). 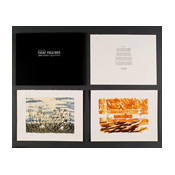 Portfolio in limited edition of the 10 seperate lithographies from the publication mentioned above. 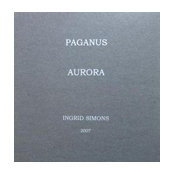 The portfolio consists of two series of lithographies : Paganus en Aurora, in one or two colours, numbered edition. Portfolio published in cooperation with gallery and publisher Peninsula, Eindhoven. 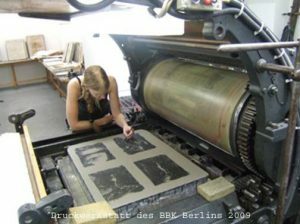 The portfolio is the result of a lithography project organised by and with Ingrid Simons and Judith Rosema. 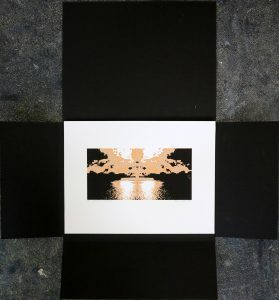 Both artists have made a lithography specially for this portfolio, in several colours, both inspired by the poem “Les fleurs du mal” by Charles Baudelaire. Publication with texts by Alex de Vries en Jan Doms (published in dutch, german and english). This publication contains photos of paintings, lithographies and drawings. 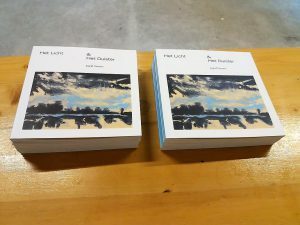 The publication was presented at the auditorium of the Stedelijk Museum ‘s-Hertogenbosch by Jos Wilbrink and Bart Rutten, in cooperation with Danielle van Broekhoven and Jolanda van Gennip. 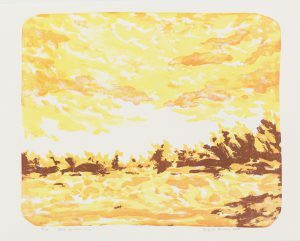 With this publication a limited, numbered edition of two different lithographies was presented. 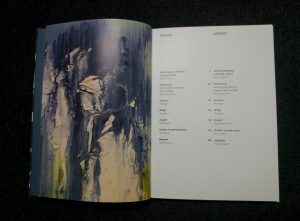 The publication “Schildersessies” (my first!) 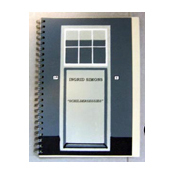 contains texts about the project initiated and organized by Simons at the guest studio of the Nederlandsche Cacaofabriek in Helmond. 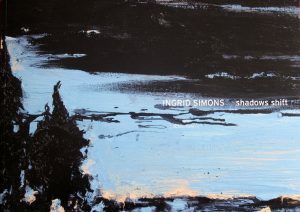 Simons invited several artists she was inspired by, to come and work with her in the guest studio. 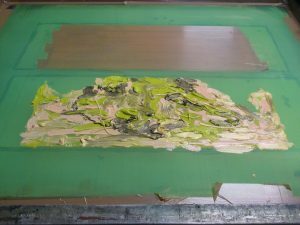 So that, during the process of painting, within a specific theme, one could also have “more profound” talks about painting itself. 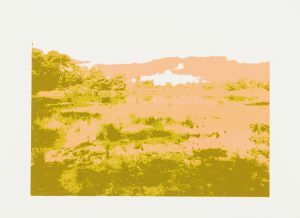 Participating artists : Monique Broekmans, Rene Korten, Teresa Rahder, Marie-Jose Robben, Rob Schouten, Esther Tielemans, Vincent Welten. 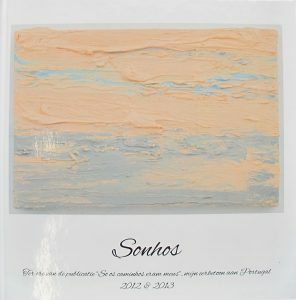 This publication also contains poems, that were especially made for this project, by international poets, inspired by the paintings that were made during this project.